Bean bags nz are probably the most comfortable chairs in the world. 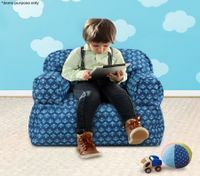 Owing to soft and friendly design, bean bags are suitable for all family members and removable to any room at home with great portability. They weigh almost nothing and are easy to reposition around the house. When you come back home after a whole day’s tiring work, this softest friend can accommodate into any shapes, providing plenty of comfort for you. 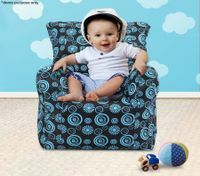 All you need to do is relax in your most comfortable laid-back position. 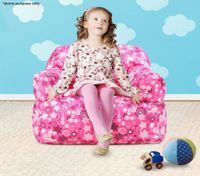 Whether you’re looking for adult-sized bean bag sofas, or kids’ bean bags and baby bean bags, solid coloured bean bag covers or colourful sofa covers with graphic pattern, you’ll find your favourite one from BestDeals’ huge selection of quality bean bags nz. Bean bags never go out of fashion. 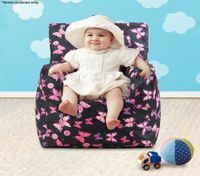 At BestDeals, our stylish bean bag chairs make a fashionable addition to any lounge, living room or family room. 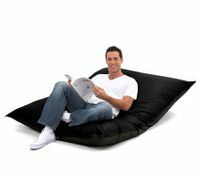 Imagine that you lie on a bean bag sofa, catching up on a good book and tasting a cup of coffee with quiet relaxation, what else is more suitable for this moment than lying on a bean bag? 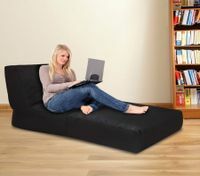 Looking for high quality bean bag sofa cover? Check out our versatile & extendible covers that are ideal for both indoors and outdoors. 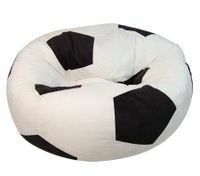 Super soccer fans must fall in love with our Micro Suede Soccer Ball Bean Bag. 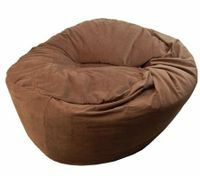 Made of strong and nice micro suede material, this bean bag is perfect to add a real, sporty look to any room. 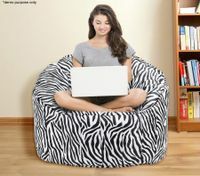 In addition, the stylish zebra print makes our 1-Seater Adult-Sized Sofa Bean Bag Cover a fun statement. 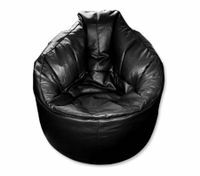 With durable polyester oxford cloth and a water-resistant PVC coating, this bean bag cover offers great value for the money that you’ll able to enjoy it conveniently for a long time. 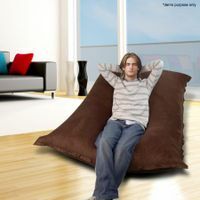 You’re lucky to meet the crazy sales of cheap bean bags nz now at BestDeals. Grab a bargain of a comfortable laid-back seating right now!